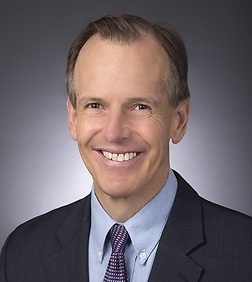 Mark F. Sundback is a Partner in the Real Estate, Land Use and Environmental Practice Group in the firm's Washington, D.C. office. Since 1981 Mark has been extensively engaged in the representation of energy industry participants before federal and state agencies charged with jurisdiction over energy markets and their participants. His representations have focused on the rates, terms and conditions associated with gaining access to regulated energy transmission systems, transactions involving changes in ownership of jurisdictional assets and unbundling matters. Mark has been involved in rate proceedings with regard to retail electric service of numerous utilities including Florida Power & Light, Tampa Electric, Duquesne Light, Allegheny Power Utility subsidiaries, First Energy utility subsidiaries, and other utilities in various jurisdictions including Texas, Maryland and Washington, DC. He also has appeared before the regulatory commissions of numerous states. With regard to wholesale electric service, Mark has been involved in proceedings involving unbundling transmission, distribution and generation rates in PJM and ERCOT. He has been involved in counseling multiple independent merchants of electric power, and in filings on their behalf with the FERC. His work frequently requires the integration of both transactional and regulatory goals. He has been involved in counseling clients in the SERC and ISO-NE regions. He also has been involved in arbitrations involving interpretations of ISO rules and technical aspects of tariff provisions. He also has represented RTOs on issues regarding resource adequacy. Mark has successfully represented entities against RTO claims in arbitration. Mark has successfully defended TransCanada Energy from claims by inter alia the California Public Utilities Commission and California’s Attorney General of unlawful market conduct in proceedings arising from the West Coast power crisis in 2000-2001. He has served as chief energy regulatory counsel in bankruptcy proceedings, involving bankrupt electric generators and their creditors. Mark has been involved in FERC proceedings related to regulation of pipelines since 1981. He has represented several natural gas companies, and has for decades served in a first chair capacity in hearings before the Commission as well as judicial appeals. He has been involved in precedent-setting cases concerning rates, certificates and accounting regulation of natural gas companies, and the scope of FERC’s jurisdiction under the Natural Gas Act, the Outer Continental Shelf Lands Act and the Natural Gas Policy Act. Represented power plant owners in disputes regarding pricing provisions of natural gas fuel supply contracts. Represented/counseled utility regarding the calculation of income tax expense/flow back schedule for ratemaking purposes.